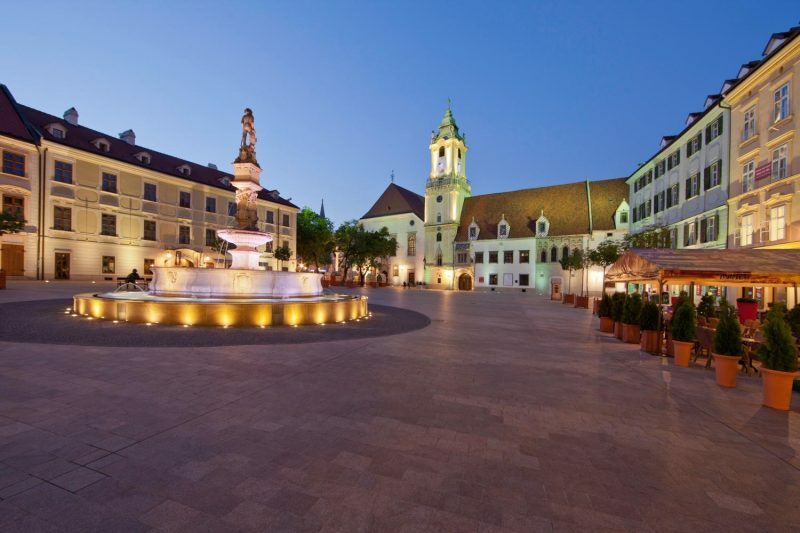 Discover with Private Bratislava by Night tour the charms of Bratislava by twilight, flanked by the floodlit castle perched on a hill overlooking the mighty Danube River. Enjoy a drink at the top of the affectionately named UFO Bridge. Walk past the historic National Theater Opera and admire the city lights at night. Bratislava by night is slightly different than daily Bratislava. Private Bratislava by night with guide meeting at 20:00 at lobby of your hotel in Bratislava. 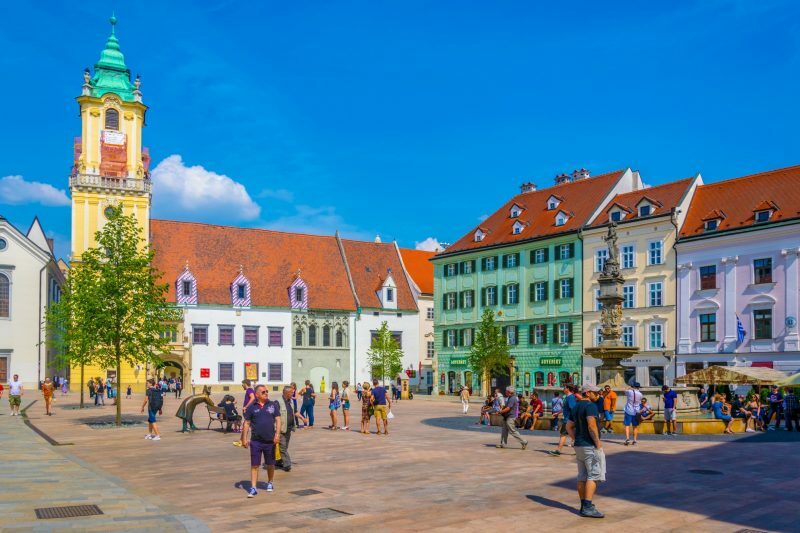 Short introduction about Bratislava & Slovakia, the guide will open up you history of one of the most youngest capital cities, and states of Europe, Bratislava & Slovakia. You will hear about ancient history of Slovakia, when the old Slavs, the precedessor of modern Slovaks inhabited Slovakia and created Great Moravia Empire, thru times when Slovakia was part of Hungarian and afterwards Austoro – Hungarian Empire. Walk up the hill to Bratislava castle, a dominant feature of Bratislava, which stands at a strategic site above the Danube. 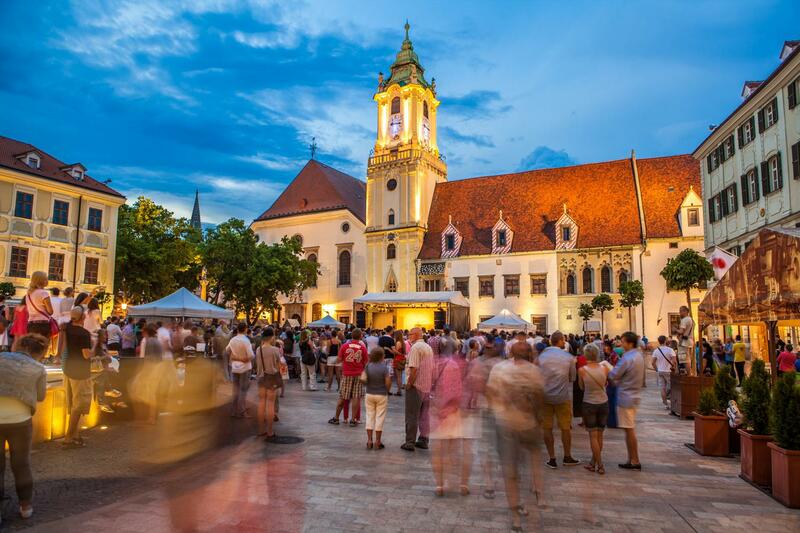 The site was inhabited as far back as Celtic and Great Moravian Times and has played an important role in history of Slovakia and Central Europe as well. The castle was the location of the summit between Mr. G.W. Bush / Mr. V. Putin in Feb 2005 when Bratislava was literally, the capital city of world for a while. There is a superb view from Bratislava Castle on night historical city center and also you can see windmills in Austria. Continue walking through Bratislava’s historic center, passing the opera house and the Slovak Philharmonic Orchestra, Reduta. Traverse the majestic Danube River to enjoy a welcome drink at the unique UFO Restaurant. 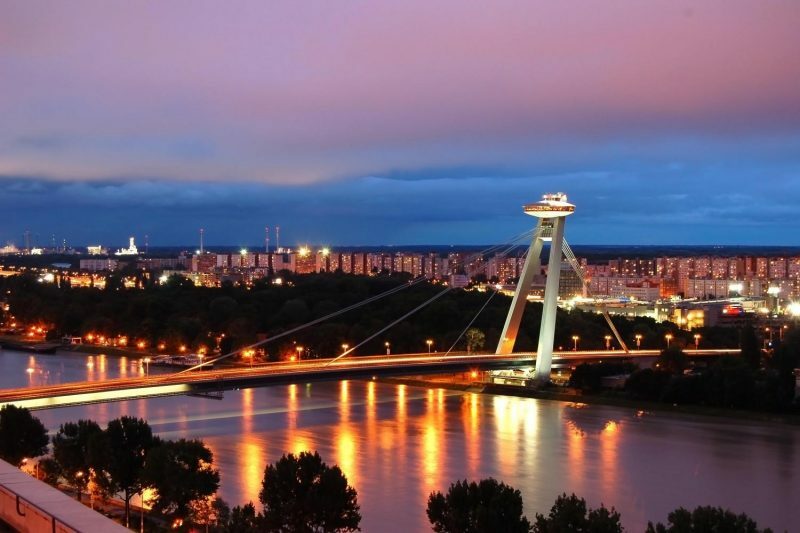 Perched high above the bridge spanning the river, the restaurant offers a 360 degree panorama—arguably the best view of Bratislava. 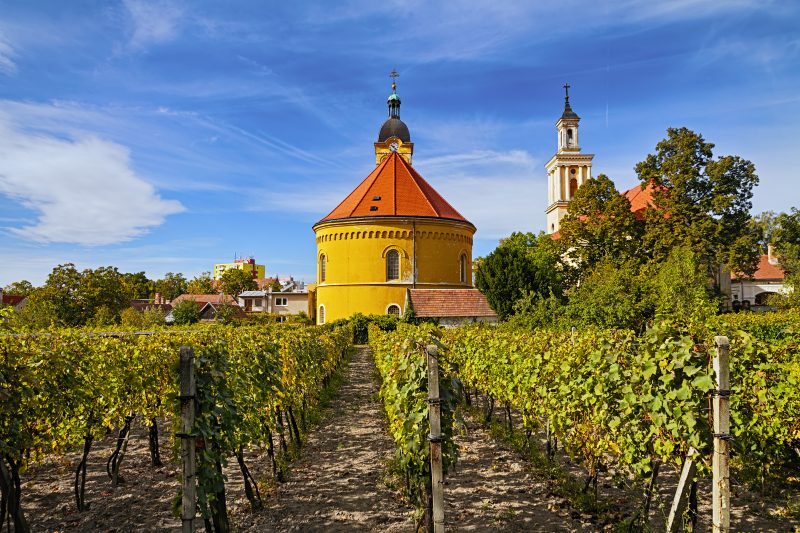 Bratislava is presented as the city of the delicious cuisine and good wine. 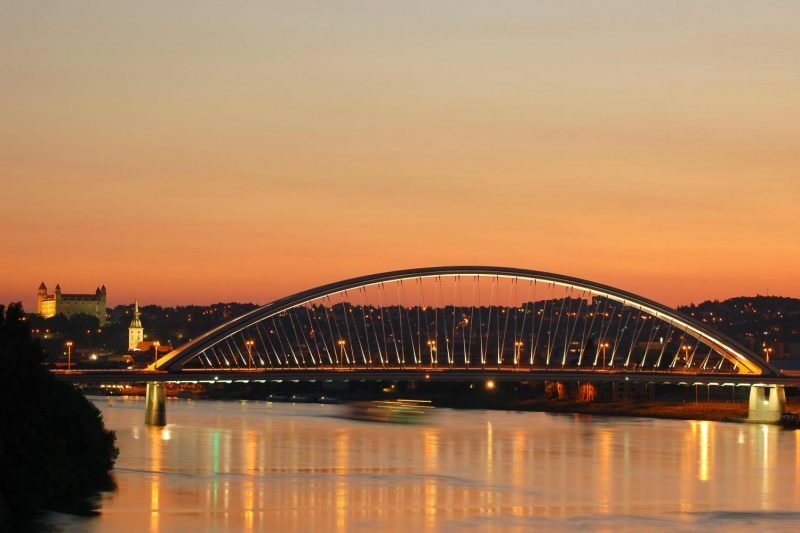 This tour will show you Bratislava during the evening, when the colors of the town are changed from the daily light. You will see the main dominant of Bratislava, Bratislava castle in all its beauty. From the castle is unique view on night colorful Bratislava. 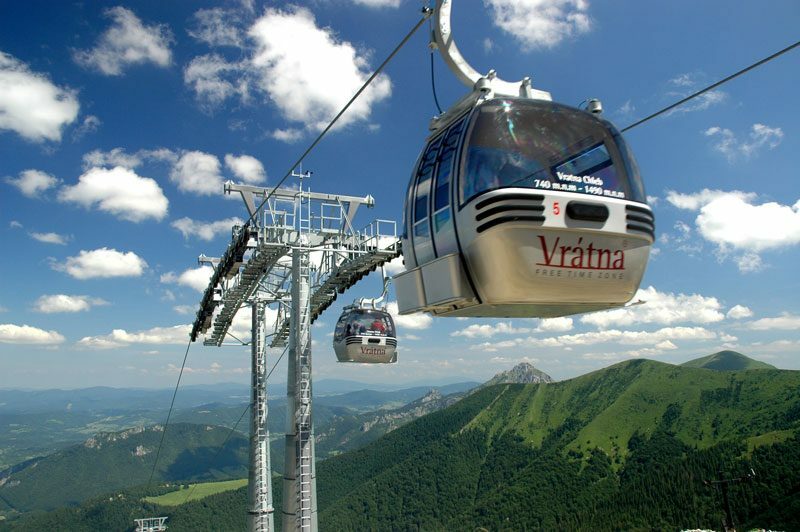 You will get deep knowledge about the history of Slovakia from ancient times to nowdays, when Bratislava has become the 5th richest region of European Union. 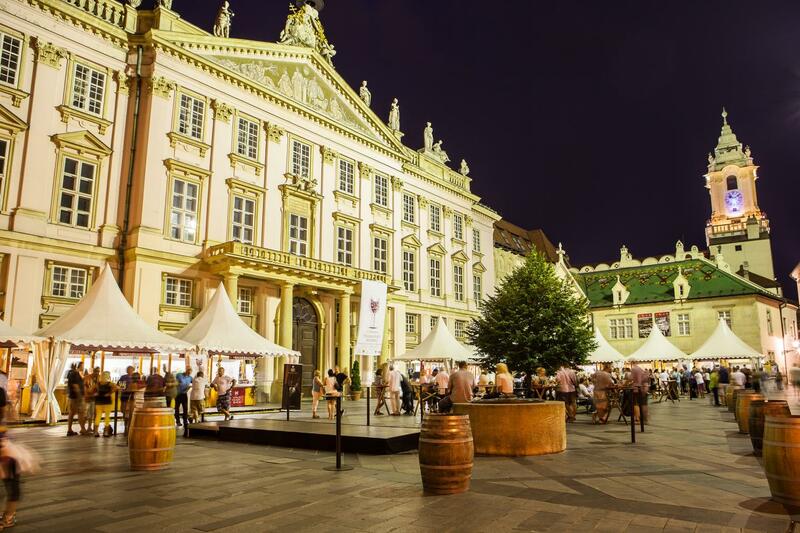 If you would like to book day city tour in Bratislava, book Private Bratislava Grand City Tour.